Back in September after news broke that Kylie Jenner was pregnant by Travis Scott, her ex rapper Tyga went on SnapChat claiming the baby was his [click here if you missed that]. 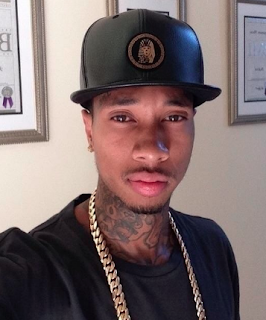 Following the allegations of pregnancy, Tyga was thought to have shared a Snapchat story in which he claimed he was the baby’s daddy, but when asked by Metro.co.uk about the story and Kylie’s pregnancy he vehemently denied the claims. ‘I didn’t comment on anything, I didn’t comment on anything, it was a fake story,’ he said. (Yawn). This is news? Where are Beyonce's twins? I bet they're somewhere being MK ultra programmed to bring in the money train once their parents are completely phased out.